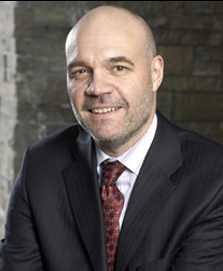 Gerry Wright is the Director of the Michael G. DeGroote Institute for Infectious Disease Research. He is a Professor in the Department of Biochemistry and Biomedical Sciences, an Associate member in the Departments of Chemistry and Chemical Biology and of Pathology and Molecular Medicine. Dr. Gerry Wright received his BSc in Biochemistry (1986) and his PhD in Chemistry (1990) from the University of Waterloo working in the area of antifungal drugs under Dr John Honek. He followed this up with 2 years of postdoctoral research in Chris Walsh’s lab at Harvard Medical School in Boston where he worked on the molecular mechanism of resistance to the antibiotic vancomycin in enterococci. He joined the Department of Biochemistry at McMaster in 1993. He holds the Michael G. DeGroote Chair in Infection and Anti-Infective Research and a Tier 1 Canada Research Chair in Antibiotic Biochemistry. From 2001-2007 Gerry served as Chair of the Department of Biochemistry and Biomedical Sciences at McMaster. Gerry was elected as a Fellow of the Royal Society of Canada (2012) and a fellow of the American Academy of Microbiology (2013). He is the recipient of the Canadian Institutes of Health Research Scientist (2000-2005), Medical Research Council of Canada Scholar (1995-2000), Killam Research Fellowship (2011-1012), R.G.E. Murray Award for Career Achievement of the Canadian Society of Microbiologists (2013), NRC Research Press Senior Investigator Award from the Canadian Society for Molecular Biosciences (2016), Premier’s Research Excellence (1999) and the Polanyi Prize (1993). In 2016 he was named a McMaster Distinguished University Professor. Gerry has served on grant panel advisory boards and Chaired grant panels for a number of funding agencies in Canada, the US, and Europe and consults widely for the pharmaceutical and biotech sectors. He is the author of over 240 manuscripts and is a member of the editorial boards of several peer-reviewed journals including mBio, Antimicrobial Agents Chemotherapy, Cell Chemistry and Biology and the Journal of Antibiotics. He is an Associated Editor of ACS Infectious Diseases and Editor of Annals of the New York Academy of Sciences, Antimicrobial Therapeutics Reviews. Gerry’s Batman job is drummer for the “Null Hypothesis”, a pants-dropping, hard rocking, booty-shaking cover band.